Almost Done! 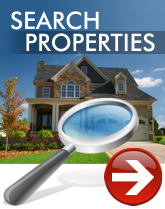 Find Me The Best REALTOR®! Let us do all the heavy lifting and Match You with the Best REALTOR® for YOU to interview based on Experience, Verified Customer Reviews, Community Knowledge and Your Specific Expectations. We also qualify the REALTORS® to ensure they have the LOCAL experience related to your needs, we look at the areas homes were sold, involvement in the community and more with the use of Artificial Intelligence Technology. This FREE service to You will analyze the top performing REALTORS® and recommend the best REALTORS® for you to interview.